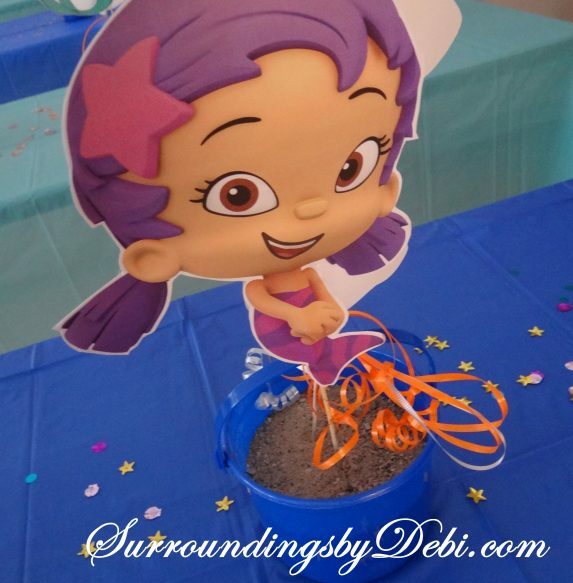 Bubble Guppies / Ariel Birthday Party! Lets Celebrate! Two of my grandchildren have birthdays just weeks apart. Add to that the fact that Christmas falls between the birthdays, and it makes a hectic time for Mom and Dad. This year the decision was made to combine the party into one. It’s a Bubble Guppies / Ariel Birthday Party! 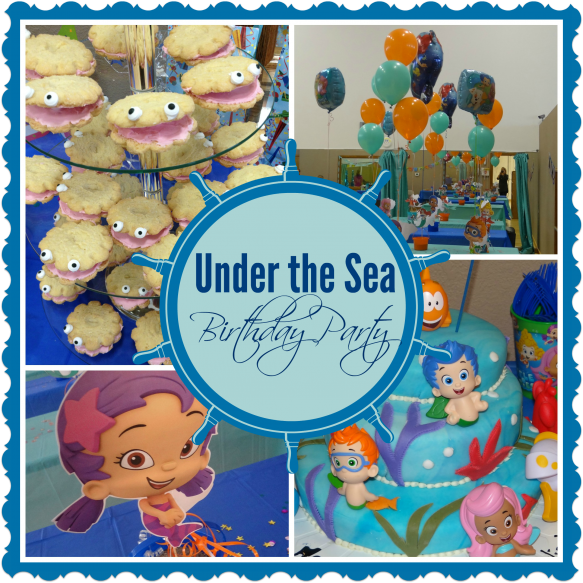 We had an “Under the Sea” Bubble Guppies/Ariel birthday party! 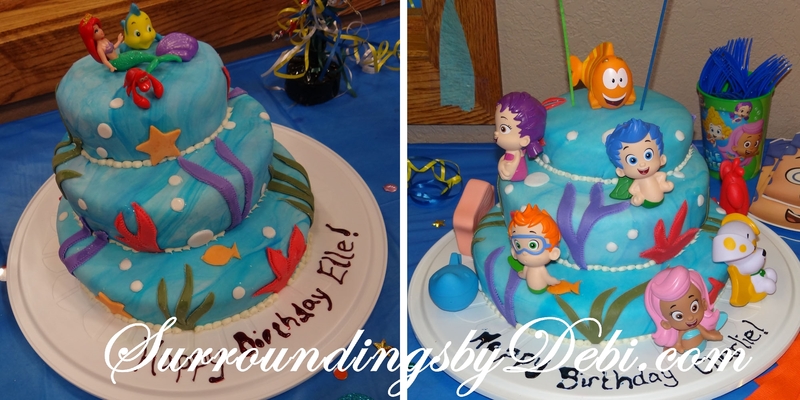 Bubble Guppies for my two year old grandson and Ariel for my four year old granddaughter. The next question was how we were going to combine the decorations and create this special birthday party. 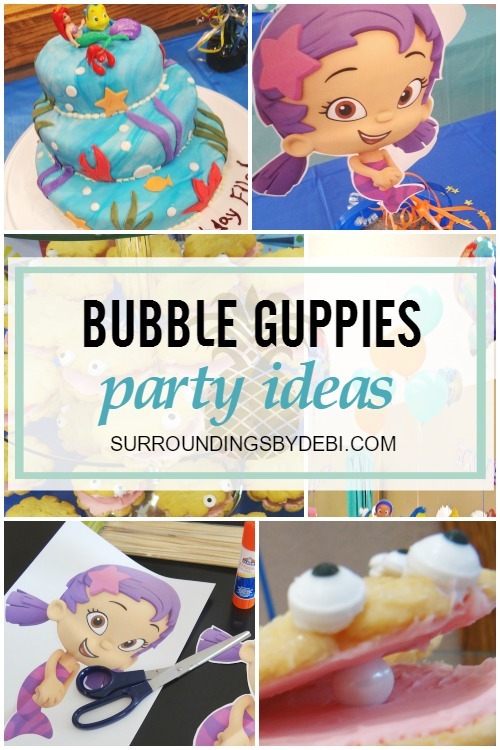 I have to say right here – my daughter has wonderful ideas for kids parties and I am only along to help carry out her instructions! We started making the decorations by printing out pictures on the computer of the characters from both of the popular cartoons. Then we cut around each of the pictures, and with a very small dowel rod placed under the picture, they were glued to cardstock. Once the glue had dried, we cut around the picture again, so that we ended up with the pictures on picks. We inserted two of the picks into each of the buckets that had been decorated with stickers of each character. 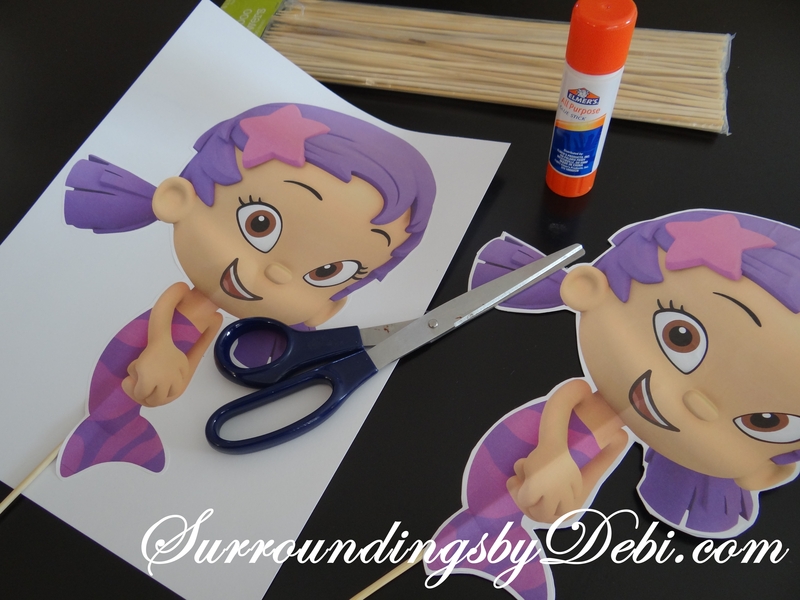 Bubble Guppies on some tables, Ariel on others. 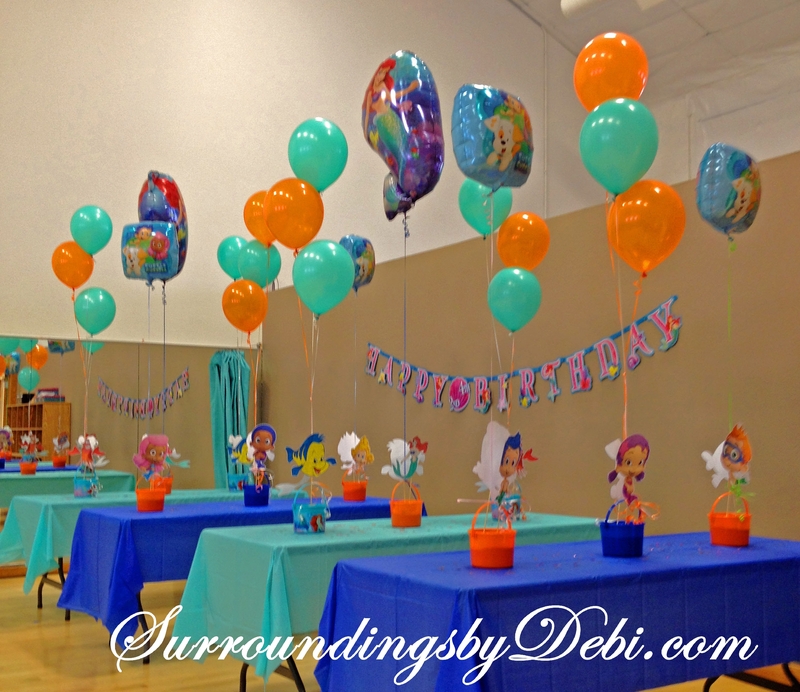 Balloons of coordinating colors were tied to each bucket and placed on blue and aqua draped tables. The decorating decided – on to the snacks and treats. 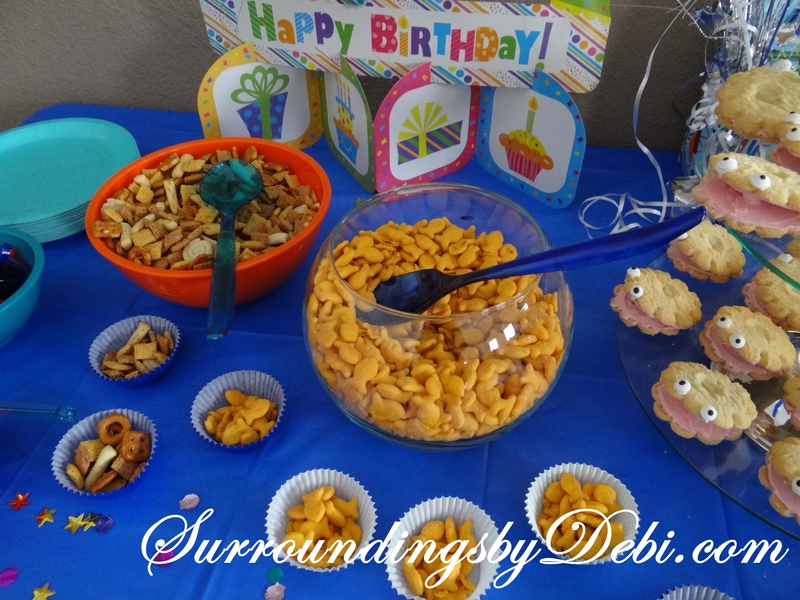 Simple snacks of Chex Mix, popcorn and of course “Gold Fish” were served in colorful bowls matching the theme of the birthday party. Special clam cookies were created with simple store bought sugar cookies. 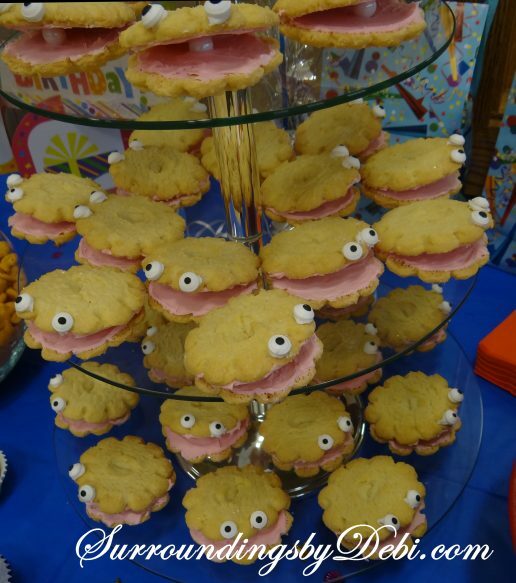 Pink icing was spread on the bottom of each cookie. The cookies were then angled together, and a small candy pearl “sixlet” from Hobby Lobby was placed between the two cookies. The placement of the candy pearl helped to hold the top cookie in place. 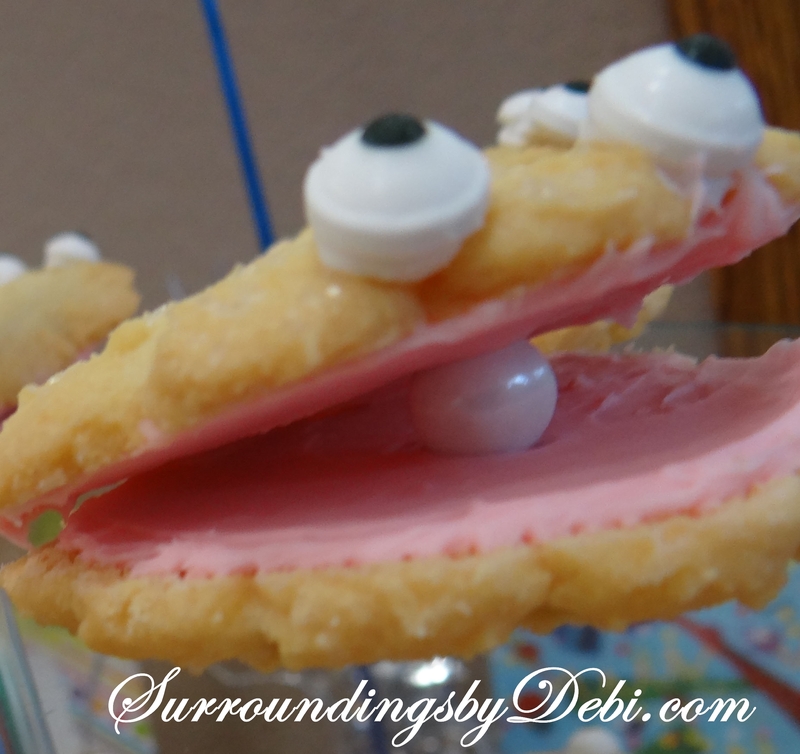 Candy eyes found at the local grocery store were attached to the top cookie with pink icing. After a fun time of games and crafts, everyone was ready for the birthday party cake! The cakes were beautifully designed by a special aunt – one in the Bubble Guppies theme and one with Ariel. Everyone went home with, what else? 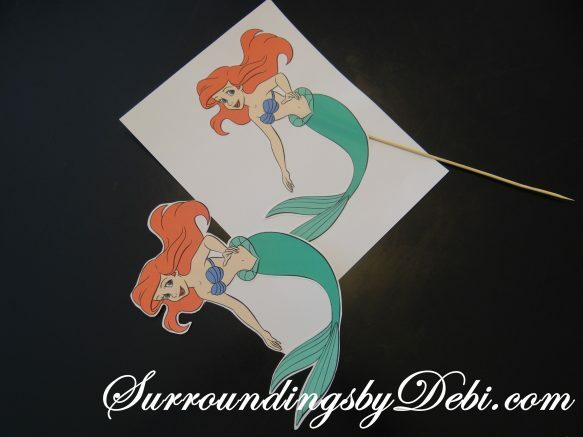 – a bubble wand – a perfect ending to a wonderful day! What fun birthday parties have you had? I’d love to have you share them with us! So glad you the decorations.